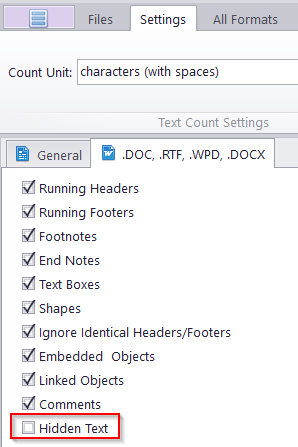 How to exclude specific segments of text in Word files from counting? 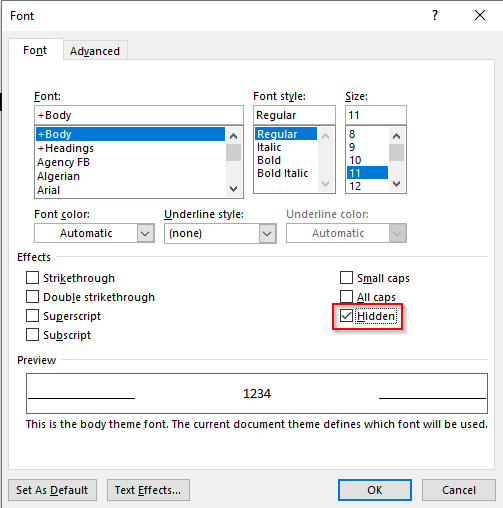 1) Hide the text you do not want to count: Open each document, nighlight the text you do not want to count, right-click on it and choose Font. In the opened window select the checkbox "Hidden" in the Effects field. Then the appropriate text will be underlined by a dotted line. Save the files. 2) Open Anycount, add the files, in "Settings" switch to the "DOC, RTF, ..." tab, and disable the "hidden text" option. The program will then count everything except the hidden text.